Edgar Degas was one of the most important artists and painters of the 19th century, and an important figure in the Impressionist Movement despite the fact that he rejected the label. Contentious and argumentative, Degas was a difficult man to like personally and believed strongly that artists could not—and should not—have personal relationships in order to preserve their objective view of their subjects. Famous for his paintings of dancers, Degas worked in a variety of modes and materials, including sculpture, and remains one of the most influential painters of recent history. Born in Paris in 1834, Degas enjoyed a moderately wealthy lifestyle. 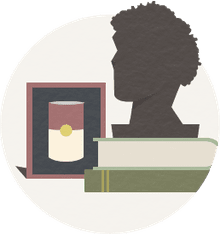 His family had connections to the creole culture of New Orleans and Haiti, where his maternal grandfather was born, and styled their family name as “De Gas,” an affectation Degas rejected when he became an adult. 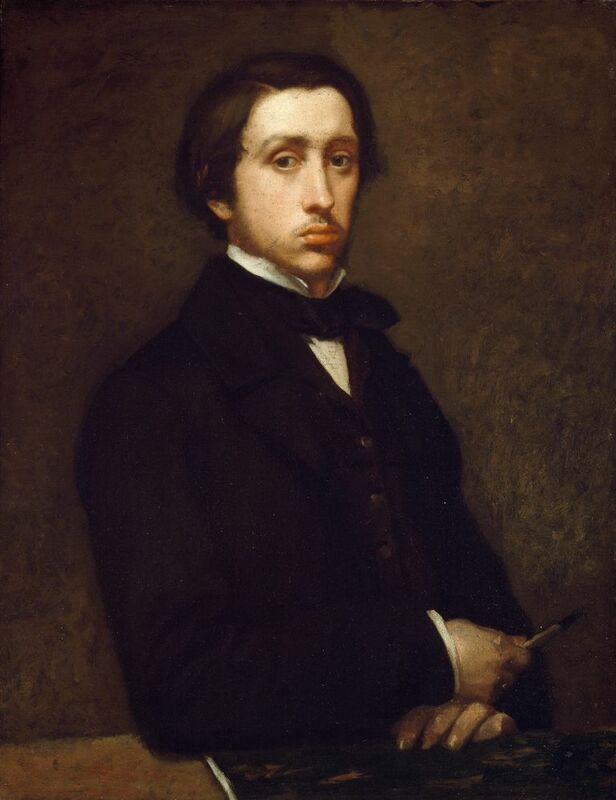 He attended the Lycée Louis-le-Grand (a prestigious secondary school established in the 16th century) in 1845; upon graduating he intended to study art, but his father expected him to become a lawyer, so Degas dutifully enrolled in the University of Paris in 1853 to study law. To say Degas was not a good student would be an understatement, and a few years later he was admitted to the École des Beaux-Arts and began studying art and draftsmanship in earnest, quickly displaying hints of his incredible talent. Degas was a natural draftsman, able to render accurate but artistic drawings of multiple subjects with simple implements, a skill that would serve him well as he matured into his own style—especially with his work depicting dancers, café patrons, and other people seemingly caught unawares in their daily lives. Degas initially saw himself as a ‛history painter,’ an artist who depicted scenes from history in a dramatic but traditional manner, and his initial studies and training reflected these classic techniques and subjects. However, during his time in Italy, Degas began to pursue realism, an attempt to depict real life as it was, and his portrait of The Bellelli Family is a remarkably accomplished and complex early work that marked Degas as a young master. In 1870, war broke out between France and Prussia, and Degas enlisted in the French National Guard, service which interrupted his painting. He was also informed by army doctors that his eyesight was poor, something which worried Degas for the rest of his life. After the war, Degas moved to New Orleans for a time. While living there he painted one of his most famous works, A Cotton Office in New Orleans. Once again, Degas sketched people (including his brother, shown reading a newspaper, and his father-in-law, in the forefront) individually and then composed the painting as he saw fit. His dedication to realism produces a “snapshot” effect despite the care that went into planning the painting, and despite the chaotic, almost random moment depicted (an approach that closely linked Degas to the burgeoning Impressionistic movement) he manages to link everything together via color: The swath of white in the middle of the image draws the eye from left to right, uniting all the figures in the space. One example is The Dance Class, finished in 1876 (sometimes also called The Ballet Class). Degas’ dedication to realism and the impressionistic virtue of capturing the moment is underscored by his typical decision to depict a rehearsal instead of a performance; he liked to show dancers as workers plying a profession as opposed to ethereal figures moving gracefully through space. His mastery of draftsmanship allowed him to imply movement effortlessly—the dancers stretch and slump with exhaustion, the teacher can almost be seen to pound his baton on the floor, counting the rhythm. Degas is also celebrated for his skill in depicting movement in a painting. This is one reason his paintings of dancers are so popular and prized—and also why he was a celebrated sculptor as well as a painter. His famous sculpture, The Little Dancer Aged Fourteen, was controversial in its time for both the extreme realism he employed in capturing ballet student Marie van Goethem’s form and features, as well as its composition—wax over a skeleton made of paintbrushes, including real clothes. The statue also conveys a nervous posture, a combination of awkward teen fidgeting and implied motion that echoes the dancers in his paintings. The sculpture was later cast in bronze. Degas had anti-semitic leanings throughout his life, but the Dreyfus Affair, which involved the false conviction of a French army officer of Jewish descent for treason, brought those leanings to the fore. Degas was a difficult man to like and had a reputation for rudeness and cruelty that saw him shed friends and acquaintances throughout his life. As his eyesight failed, Degas stopped working 1912 and spent the last few years of his life alone in Paris. Schenkel, Ruth. “Edgar Degas (1834–1917): Painting and Drawing | Essay | Heilbrunn Timeline of Art History | The Metropolitan Museum of Art.” The Met's Heilbrunn Timeline of Art History, metmuseum.org/toah/hd/dgsp/hd_dgsp.htm. Smith, Ryan P. “One Hundred Years Later, the Tense Realism of Edgar Degas Still Captivates.” Smithsonian.com, Smithsonian Institution, 29 Sept. 2017, www.smithsonianmag.com/arts-culture/100-years-later-tense-realism-edgar-degas-still-captivates-180965050/. Gelt, Jessica. “Degas Exhibited Only One Sculpture in His Lifetime; Now 70 Have Gone on View.” Los Angeles Times, Los Angeles Times, 29 Nov. 2017, www.latimes.com/entertainment/arts/la-ca-cm-degas-norton-simon-20171203-htmlstory.html.